Make your home the envy of all your friends with the dramatic statement of black backsplash tile that will immediately captivate them. Black never goes out of style. Never leaves you scrambling to find a color that matches. Always-popular selection for a classy kitchen update. Whether your home verges on futuristic modern or falls more squarely in the contemporary category, you won’t be disappointed with this dark backsplash. 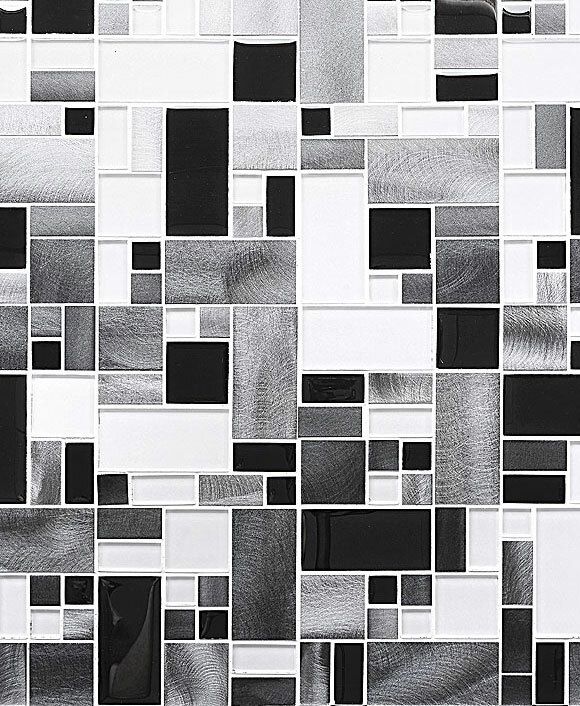 Mix it up with mosaic tile options that incorporate retro designs of white and black, splashes of glittering gold, or lighter pops of steely gray. The color palettes you can choose from are as timeless as black itself. Black backsplash tile can be slick and glossy for plenty of bright glitters even on a color so dark. However, it can also be rough and edgy, emphasizing the natural texture of the stone it is sometimes made of. No matter what your preference is, there’s a finished and polished black backsplash tile just waiting to adorn your walls. You won’t regret your decision to go with one of our dramatic black backsplash tiles for your new kitchen project. Our tiles are of the highest quality because we know you value having products that will last for the long haul. Our black backsplash tile choices are no different. We select mosaic tiles that are easy to clean and maintain, durable and strong, and many of them are even naturally water-resistant. All of these features combine to create the ideal product for lining your kitchen backsplash. Let a black kitchen backsplash speak volumes about you and your home with just a single glance. The dramatic pop of color will instantly create an elegant kitchen that looks polished and put-together with no effort on your part.